This month, ClassDojo and the Yale Center for Emotional Intelligence announced a partnership to bring mindfulness to millions of kids around the world. 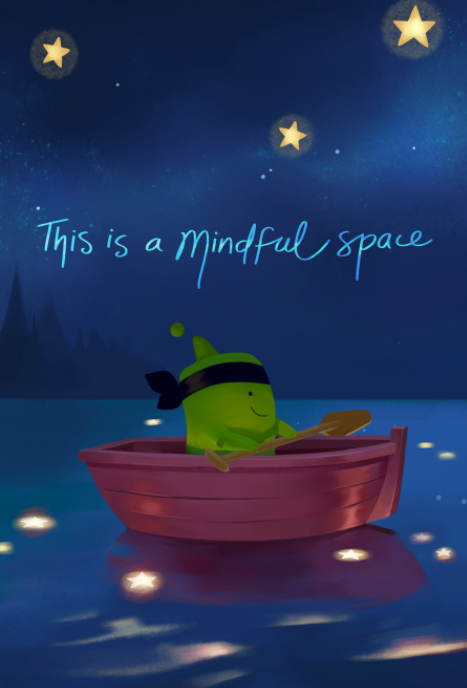 Together, ClassDojo and Yale have created a set of activities related to ‘Mindfulness’ for home and school, to be made available to all ClassDojo teachers and parents over the coming weeks. It has been shown that regular mindfulness practice — even just a few minutes per day — improves students’ optimism, reduces stress, and increases students’ ability to feel empathy for others. ClassDojo also conducted a new, national survey which found that even though only 13% of teachers and parents report having a mindfulness practice at their school, 70% want one. ClassDojo’s previous activity series on Growth Mindset and Empathy have been seen by 1 in 3 kids under the age of 14 in the U.S.
As with ClassDojo’s previous collaborations with Stanford (PERTS) and Harvard (Making Caring Common Project), the Mindfulness activities will be made available to all ClassDojo classrooms around the world. ClassDojo now reaches 90% of K-8 schools in the U.S. as well as schools in over 180 countries. ClassDojo: Mindfulness will begin on May 8, with activity guides and short videos for home and school released over the course of following two weeks. For more information on ClassDojo’s Mindfulness activities, please visit https://www.classdojo.com/ideas and https://www.classdojo.com/about. Understand emotions: Learning what caused your child to feel the way they do, and sharing the reasons why we feel the way we do as parents, deepens communication and builds mutual respect. Asking open-ended questions such as, “what happened?” or “what do you believe caused you to feel this way?” helps to build this skill. Label emotions: We use language to inform thinking and communication. Try using specific emotion words such as disappointed instead of upset, or peaceful instead of good. The more nuanced our emotion vocabulary becomes as parents, the more advanced our children become at effectively communicating their feelings. Express emotions: Each home has an “emotional climate.” Creating a home where all emotions matter and can be talked about – the pleasant and unpleasant – helps to build trust, safety, openness, and authentic communication among all family members. As parents, we need to be comfortable discussing the full range of emotions with our children. Regulate emotions: Each day, we are modeling both effective and ineffective ways to manage emotions. Be mindful of modeling “positive self-talk” (e.g., it will all work out) as opposed to “negative self-talk” (e.g., nothing ever turns out the way it’s supposed to”) will help your child to learn helpful, as opposed to unhelpful, ways to deal with emotions. ClassDojo’s mission is to give teachers, parents, and students the power to create incredible classrooms. Founded in 2011 and based in San Francisco, California, ClassDojo is a communication platform that helps students build important life skills while creating a simple way for teachers, parents, and students to share what’s happening during the school day through photos, videos, and messages. Today, 90% of K-8 schools in the U.S., as well as a further 180 countries, have joined ClassDojo. To learn more, visit: https://www.classdojo.com/ or Facebook, Twitter, and Instagram. Emotions drive learning, decision making, creativity, relationships, and health. The Yale Center for Emotional Intelligence uses the power of emotions to create a healthier, and more equitable, productive, and compassionate society, today and for future generations. We conduct research and design educational approaches that support people of all ages in developing emotional intelligence and the skills to thrive and contribute to society. We do this work because the well-being and sustainability of our society depends on each of us using our emotions intelligently. To learn more, visit: http://ei.yale.edu/ or Facebook and Twitter.